Translator’s introductory note: In Chiapas, Mexico Subcomandante Insurgente Galeano of the Zapatista Liberation Army (EZLN) was looking for papers at the bottom of a trunk. He explained: in talking with EZLN comrades “he had detected a line of tension between the past and the storm going on now.” Galeano surmised that some of the writings two decades ago of Subcomandante Marcos, the former EZLN spokesperson, might be useful in continuing the conversations. Galeano had access to Marcos’ papers for good reason. Indeed, Marcos had adopted the name Galeano in honor of a Zapatista leader with that name whom paramilitaries killed on May 2, 2014. The two names thus refer to the same person. Galeano remembered that “there was something in this jumbled mountain of papers and ideas about the genealogy of anti-capitalist struggle.” What he found was “a text with a disconcerting title, but one that made sense as he read it.” Marcos’ title for the document was: “April is also Tomorrow” (“Abril también es mañana”). The “April” of the title is April 17, 1961, when counter-revolutionaries organized by the CIA invaded Cuba. In his papers Marcos explains why revolutionary Cuba’s victory over U. S. – backed attackers was a watershed moment for both Latin American independence and anti – capitalist resistance. He focuses on the role of Fidel Castro, who died on November 17, 2016. To learn about what a Zapatista leader actually thought about the Cuban revolution may cast new light upon common beliefs as to how the Zapatistas should view that revolution. Led by the EZLN, indigenous people in Chiapas rebelled on January 1, 1994; that was the day that the NAFTA trade agreement took effect. The Zapatista’s story and particularly Subcomandante Marcos soon captured the attention of many progressives throughout the world. The rebels’ appeal derived in part from the contrast they offered with other anti-capitalist political movements, especially Marxist revolutionaries who had attained state power. Supposedly all EZLN rebels took part in decision-making and engaged each other in relations described as “horizontal.” On the other hand, anti-communist sympathizers of the Zapatistas pointed to shortcomings of the traditional revolutionary movements which they attributed to “top-down” command structures. Many friends of the Zapatistas, therefore, scorned the Soviet Union. One might have supposed that their censure extended to Revolutionary Cuba, ally of the Soviet Union. However, in his analysis presented here, the most visible leader of the Zapatistas – Marcos – reveals something quite different. Subcomandante Galeano’s discovery, as it were, of Marcos’ writings about Cuba ended up on the Zapatista’s web site and, ultimately, on others. 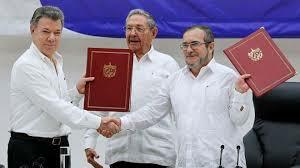 Here we offer translated excerpts pertaining strictly to Cuba; we exclude sections touching upon unrelated subjects. The explanation that imperialism was a superior phase of capitalism became more than a scientific definition; it was converted into a plan of action for struggles throughout the world. One concludes that, instead of being ‘a superior phase,’ imperialism was the ‘last phase’ of capitalism. This became the basis for a kind of international division not of work but of anti-capitalist struggle. The so-called third – world countries had no developed industry to rely upon and on that account lacked a solid working class, and so the fight for socialism had to pass through nationalist, anti-imperialist, and anti-colonial struggle. Only in that way could they pursue anti-capitalist goals. It’s established that struggle against capitalism and for socialism necessarily passes through struggle for national liberation. That’s true at least in the so-called third-world countries. To be able to go on to socialism, nations had to free themselves first from the neo-colonial yoke, imposed quite often by North American imperialism …. Socialist revolution was either worldwide, or it couldn’t exist. At that time, scientific analysis had morphed into a kind of central command of the world revolution installed in the Soviet Union. That nation provided strategies and tactics for anti-capitalist struggles throughout the world. Those who complied with orders earned approval from the world’s ‘vanguard.’ For those who claimed to be constructing their own road, that is to say, their own struggle, there was punishment, ostracism, and disqualification, according to the norms of that day. Critical thought passed from analysis to justification, and stumbles and mistakes were explained away with the alibi of confrontation with North American imperialism … [In the middle of the 20th century] the misnamed ‘socialist bloc’ was involved in what we call the third world war. Struggles went on in Asia, Africa, and particularly in Latin America without any particular connection with that war, which mattered most. And the partisan organizations of the left at that time were ordered to direct their main efforts toward supporting the Socialist Bloc … Just as in the Olympics, they competed in social science not for a better understanding of what was happening and what might come, but rather in raising their own flag higher and more often, whether it be the one with the stars and stripes or the one with the hammer and sickle. In the world scene, everything seemed simple and foreseeable, that is, until Fidel arrived. …Then things happened, and the light that shined in the Caribbean in those first years of the 1960s became a virus that contaminated the continent. That was unintentional. After a long record of defeats in that grief –stricken place called Latin America, an entire people had organized themselves and their destiny was changing; their name went everywhere. After the failed mercenary invasion sponsored by the United States, Cuba was called Fidel and Fidel Castro took on “Cuba” as an additional name, meaning resistance and rebellion, and struggle. The smallest country, the most scorned, the most humiliated was rising up, and was changing world geography with action and organization. In some years the statesman whom the Cuban people put in charge practically moved other ‘world leaders’ into the shadows, and, as it had to be, opposites clustered around his figure: a few to fawn on him but most to attack him. Only a few looked on and realized that something new had emerged: that the Cuban Revolution had not only broken dominion over America imposed by the empire of the stars and stripes – the ‘indomitable and brutal North;’ it had also shattered the fossilized social theory of the time fostered by commissars whose existence is constant throughout the political spectrum and never the exception. … Thus the Cuban people set out on their long road of resistance, and were advancing in extraordinarily adverse circumstances. Their suffering from the most extensive and intense economic blockade in the history of the world continues even today. And more than that, they have stood up to terrorist attacks, have been invaded militarily, and delivered to arrogant Uncle Sam his first defeat in the continent. But with everything standing in the way, they’ve fashioned their own destiny. Cuba is not only the object of attacks from right-wingers in the world; those of the well – behaved left have also beaten up on this people. They use clichés and have common assumptions that leave out not only the Cuban reality, but also and especially Cuba’s heroic effort to overcome its errors and mistakes. With the sole object of making itself agreeable to the right, the institutional left throughout the world has attacked the Cuban revolution repeating insults from the right and following shifting fashions. …. “If Mr. Kennedy does not like socialism, well we do not like imperialism! We do not like capitalism! We have as much right to protest over the existence of an imperialist-capitalist regime 90 miles from our coast as he feels he has to protect over the existence of a socialist regime 90 miles from his coast. Now then, we would not think of protesting over that, because that is the business of the people of the United States. It would be absurd for us to try to tell the people of the United States what system of government they must have, for in that case we would be considering that the United States is not a sovereign nation and that we have rights over the domestic life of the United States. It occurred to me that it’s not just any sand that the hourglass contains. And perhaps it’s not just any sand because this sand perhaps comes from a beach mentioned repeatedly in the history of humanity’s struggle and resistance against capitalism. Perhaps the sand flowing from one end of this timepiece to the other comes from some place on the American continent. Perhaps geography anchors it to an island stretched out in the Caribbean like a rebel alligator refusing to be subjected. There, it’s hardening its skin, and its look. I remember the words of Marcos, dead now, when he read about what the ravenous political spectrum of Latin America opined about the prospect of Fidel Castro’s death: reiteration of reproaches and supposed judgements from both the right and the well-behaved left. The right will never forgive the defeats he administered to them, and the institutional left won’t absolve him from for having been everything that they never were, in their mediocrity. Also, these are the ones who now pronounce judgments and sentences and simply cannot explain why, if he was a dictator, the greatest world power could not organize a people’s rebellion, and instead opted for terrorist attacks to get rid of him. I tell you this not only because it’s about the few who rebel and rise up breaking molds imposed against us, but also because of what I tell you now. It fell upon me, along with Subcomandante Insurgente Moises, (now the principal EZLN spokesperson) to give a report to one of our outposts, and this was just a few days after the death of Fidel Castro. When I arrived, Insurgente Erika, unable to hold back tears, told me, “Fidel Cuba died.” That’s just what she said. The Cuban revolution consumed 58 years confronting everything. Insurgente Erika must have been around for 20 or so years. She never left these lands. She learned Spanish in a mountain camp, [having spoken a Mayan language]. She battles with mathematics and “hard” words, and in spite of that, or precisely because of all that, she has synthesized in two words an entire history of struggle, of resistance and rebellion. All this either makes the point or says what matters – whatever. But what’s certain is that the late Subcomandante Marcos was right: April is also morning…. Más que en una definición científica, el planteamiento de que el imperialismo era una fase superior del capitalismo, se convirtió en un plan de acción para las luchas en todo el mundo. De ser “una fase superior”, se concluyó que el imperialismo era “la última fase” del capitalismo. Sobre esa base se estableció una especie de división internacional no del trabajo sino de la lucha anticapitalista. En los llamados países del Tercer Mundo, que no contaban con una industria desarrollada y, por lo tanto, carecían de una clase obrera sólida, la lucha por el socialismo debía pasar por una lucha nacionalista, antiimperialista, y anticolonial, y sólo así podrían aspirar a ser “anticapitalistas”. Se establece que la lucha contra el capitalismo y por el socialismo pasa necesariamente por la lucha por la liberación nacional. Eso al menos en los llamados países del tercer mundo. Para poder transitar al socialismo, las naciones debían librarse primero del yugo neocolonial, el impuesto por el imperialismo norteamericano en ese caso. … La revolución socialista o era mundial o no lo era. El análisis científico se convirtió entonces en una especie de comando central de la revolución mundial y se instaló en la URSS. De ahí partían las estrategias y tácticas para las luchas anticapitalistas en todo el mundo. Quien acataba las órdenes, recibía el beneplácito de la “vanguardia” mundial. Para quien no, para quien pretendía construir su propio camino, es decir, su propia lucha, había la condena, el ostracismo y la etiqueta de moda para descalificar. El pensamiento crítico pasó del análisis a la justificación, y los tropiezos y errores se cubrieron con la coartada del enfrentamiento con el imperialismo norteamericano …El mal llamado “bloque socialista” se enfrascaba en lo que nosotros llamamos la tercera guerra mundial. 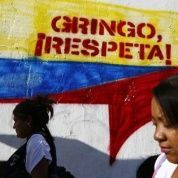 En Asia, África y particularmente en América Latina, las luchas transcurrían sin mayor relevancia para esa guerra, la que importaba, y las organizaciones partidarias de la izquierda de entonces eran conminadas a dirigir sus esfuerzos principales al apoyo del Bloque Socialista. …Como si fuera en las olimpiadas, en la ciencia social se competía no por mejor entender lo que ocurría y lo que vendría, sino por más alto y más veces levantar la bandera propia, fuera la de las barras y las estrellas, fuera la de la hoz y el martillo…En el escenario mundial todo parecía previsible y sencillo… pero en eso llegó Fidel. Luego pasó lo que pasó, y la luz que iluminó el Caribe en esos primeros años de la década de los 60´s se convirtió, sin proponérselo, en un virus que contaminó el continente. Después de un largo calendario de derrotas en ese dolor llamado Latinoamérica, un pueblo entero se organizaba y cambiaba de destino y extendía su nombre. Desde la fracasada invasión mercenaria con patrocinio norteamericano, Cuba se llamó Fidel y Fidel Castro tuvo a “Cuba” como apellido de resistencia y rebeldía, de lucha. El país más pequeño, el más despreciado, el más humillado, se levantaba y, con su acción organizada, cambiaba la geografía mundial. El estadista que el pueblo cubano puso al frente, en unos cuantos años prácticamente borró a los demás “líderes mundiales” y, como debe de ser, en torno a su figura se convocaron los extremos: los pocos para adular, los más para atacar. Sólo unos cuantos miraron y aprendieron que algo nuevo había surgido y que la revolución cubana no sólo había roto el dominio que sobre la América entera imponía el imperio de las barras y la estrellas, el “norte revuelto y brutal”. También había hecho pedazos la ya entonces acartonada teoría social que era pastoreada por los comisarios que, en todo el espectro político, son la constante y nunca la excepción….El pueblo de Cuba inició su largo camino de resistencia, y fue avanzando en condiciones adversas sin precedentes. Pero no sólo ha recibido los ataques de la derecha mundial, también la izquierda bien portada ha arremetido contra ese pueblo, socorrida de clichés y lugares comunes que obvian no sólo la realidad cubana, también y sobre todo su heroico esfuerzo para levantarse de sus errores y fracasos. Con el único objetivo de hacerse agradable a la derecha, la izquierda institucional en todo el mundo ha atacado a la revolución cubana repitiendo los dichos de la derecha y siguiendo la moda en turno…. “…Si a Mr. Kennedy no le gusta el socialismo, bueno, a nosotros no nos gusta el imperialismo, a nosotros no nos gusta el capitalismo. Tenemos tanto derecho a protestar de la existencia de un régimen imperialista y capitalista a 90 millas de nuestras costas, como él se puede considerar con derecho a protestar de la existencia de un régimen socialista a 90 millas de sus costas.Ahora bien, a nosotros no se nos ocurriría protestar de eso, porque eso es una cuestión que les incumbe a ellos, una cuestión que le incumbe al pueblo de Estados Unidos. Sería absurdo que nosotros pretendiéramos decirle al pueblo de Estados Unidos qué régimen de gobierno es el que debe tener, porque en ese caso nosotros consideraríamos que Estados Unidos no es un pueblo soberano y que nosotros tenemos derecho sobre la vida interior de Estados Unidos. “El derecho no lo da el tamaño, el derecho no lo da el que un pueblo sea mayor que otro, ¡eso no importa! Nosotros no tenemos sino un territorio pequeño, un pueblo pequeño, pero nuestro derecho es un derecho tan respetable como el de cualquier país, cualquiera que sea su tamaño. A nosotros no se nos ocurre decirle al pueblo de Estados Unidos qué régimen de gobierno debe tener. Luego es absurdo que al señor Kennedy se le ocurra decir qué régimen de gobierno es el que quiere que nosotros tengamos aquí, porque es una cosa absurda; eso nada más se le ocurre al señor Kennedy, porque no tiene un concepto claro de lo que es la ley internacional y la soberanía de los pueblos…. Detuve la lectura y miré entonces el reloj de arena. Se me ocurrió que tal vez no es cualquier arena la que contiene. Y tal vez no es cualquiera porque esta arena tal vez viene de una playa reiterada en la historia de lucha y resistencia de la humanidad contra el capitalismo.Tal vez la arena que fluye de uno a otro lado de este reloj, viene de un lugar del continente americano y su geografía la ancla en una isla que se estira en el Caribe, como caimán rebelde que se niega a ser sometido y por eso endurece la piel y la mirada. Déjenme decirles que el finado SupMarcos, y no sólo él, sentía una gran admiración por el pueblo de Cuba y un profundo respeto por Fidel Castro Ruz….Luego, dando por terminado el tema, añadió: “Fidel Castro es el Maradona de la política internacional. Y nunca le van a perdonar los goles que le metió a quien se atrevió a enfrentarlo”. Recordé las palabras del difunto SupMarcos cuando leía sobre lo que el famélico espectro político de Latinoamérica opinó sobre la muerte de Fidel Castro. La reiteración en la derecha, y en la izquierda bien portada, de reproches y supuestas críticas. La derecha que nunca le perdonará las derrotas que les propinó, y la izquierda institucional que no lo absolverá de haber sido todo lo que ella, en su mediocridad, nunca llegará a ser. 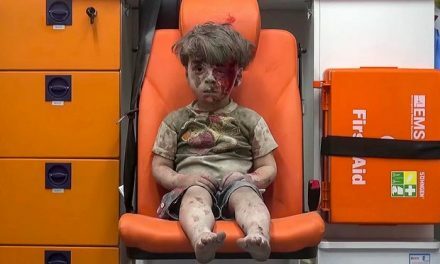 También están los mediocres que ahora dictan juicios y sentencias y simplemente no pueden explicar por qué, si era un dictador, la mayor potencia mundial no pudo organizar una rebelión popular, y optó por los atentados terroristas para anularlo. Lejos de la películas de ficción y series televisivas, donde los servicios secretos norteamericanos acaban con los malos armados sólo con un lapicero, fracasaron en Cuba sencillamente porque “Comandante Fidel” era el nombre, la imagen y la voz que ese pueblo tomaba para reafirmar lo que todo el tiempo y en contra de todo construía: su libertad…. Todo esto viene al caso, o cosa, según, porque es cierto, el difunto SupMarcos tenía razón: Abril también es mañana….